This is the week, dear readers, it’s finally here! #TeamHadleyCourt is very excited to be on its way soon to High Point Market, the world’s largest wholesale tradeshow furniture, accessories, art, and lighting! With over 80 million square feet of exhibiton space and over 2000 exhibitors, High Point will be home for the next week and a half to 75,000+ visitors from all corners of the globe. 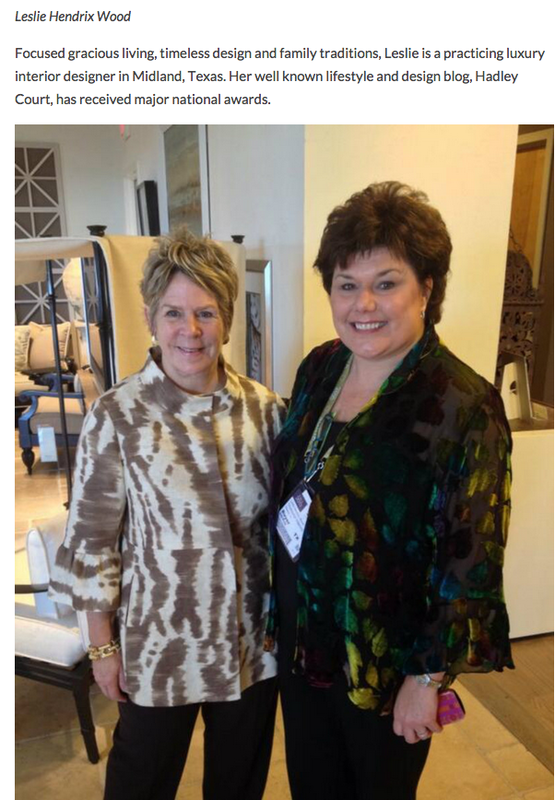 As many of you know, Leslie Hendrix Wood is an official #HPMKT Stylespotter, along with 8 other fellow StyleSpotters. 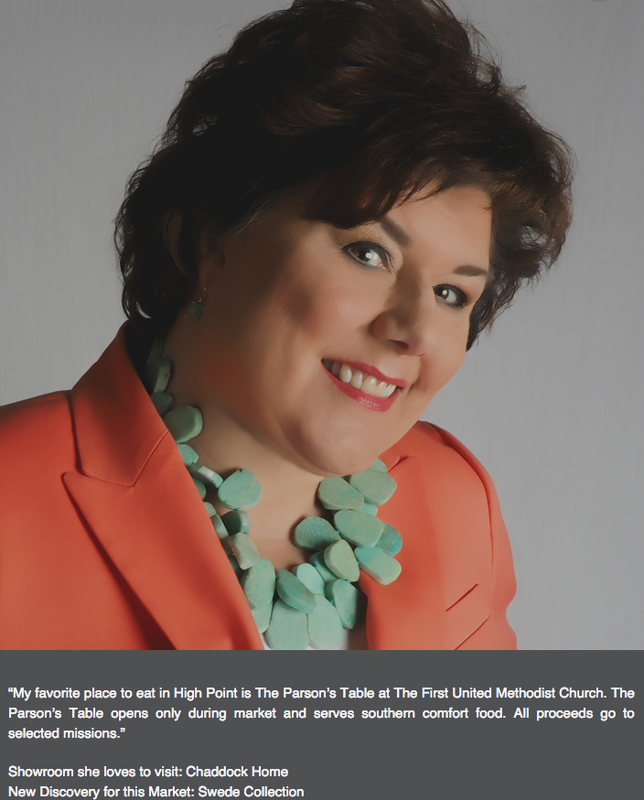 Chosen for this honor late last year by High Point Market Authority, the #HPMKT *StyleSpotters* are the official representatives of this tradeshow to the world. They are each given 25 *StyleSpot* cards at the beginning of the show, and it’s their job to bring the world their point of view on what they believe represents the hottest new trends in design by StyleSpotting the 25 best new products! In preparation for this, many media outlets [blogs and magazines] have been contacting the StyleSpotters and asking to interview them about what they are looking forward to most about this upcoming Fall Market starting, officially, this Saturday, October 17th. Today, we would like to thank a few of these media outlets by linking back to their posts and to help you, readers, see what all of Leslie’ fellow Style Spotters are also looking forward to seeing. 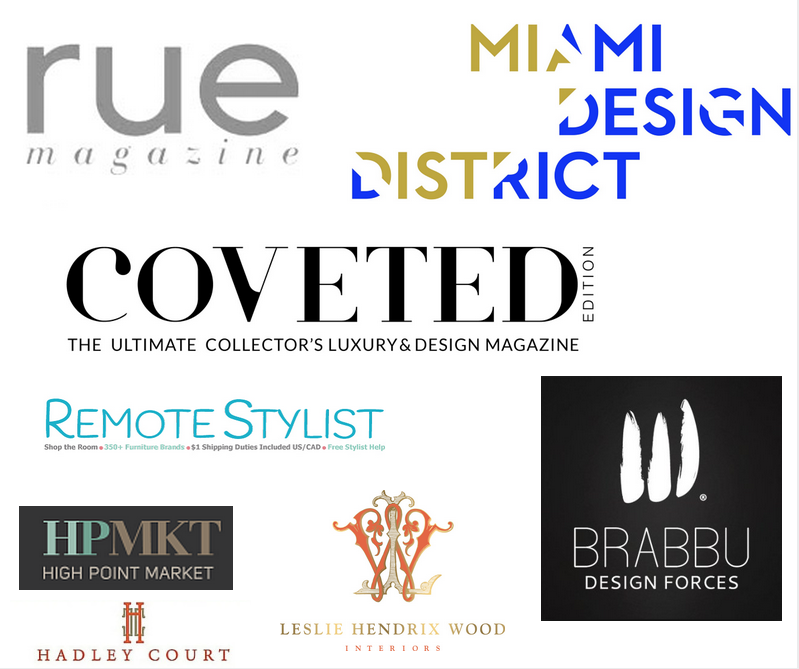 First, we’d like to thank the Miami Design District for this post. The caption on this picture below is what Leslie Hendrix Wood shared with @ByBrabbu. Don’t miss the other *must see* + *new to them* showrooms that Leslie’s fellow StyleSpotters gave a shout out to in @MyBrabbu’s post! Next, we’d like to thank the Canadian shopping site, Remote Stylist, for this lovely post. This image is what Leslie shared with Remote Stylist. Click through to see what Leslie’s fellow StyleSpotters have their eye on, too! 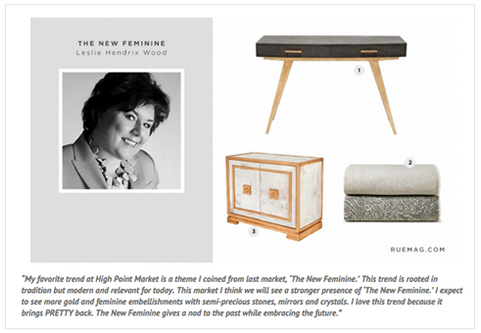 Next, we’d like to thank Covet Edition magazine for this post, featuring a picture that was taken of Leslie with Bunny Williams a few markets back in the Century Furniture showroom. Lastly, we featured, a few posts back, what the StyleSpotters shared with Rue Magazine. If you missed that post, and would like to see it, here it is again. 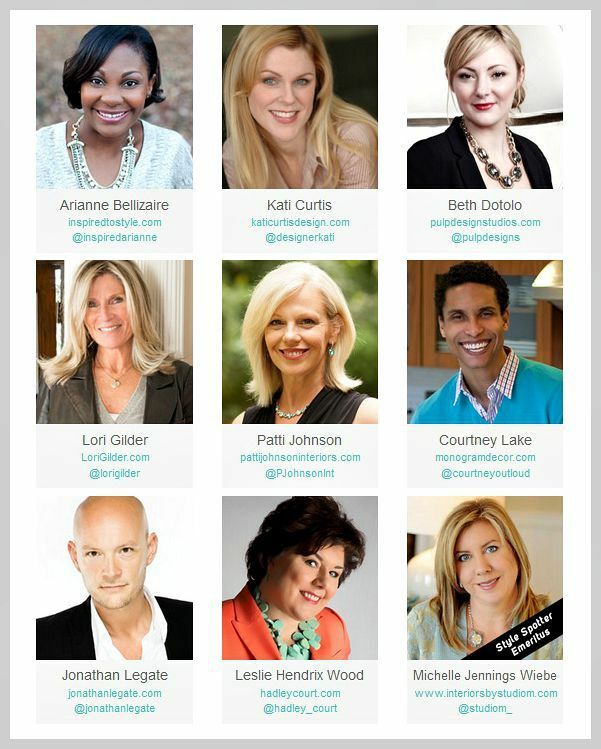 We are grateful for all of these wonderful blogs and magazines for featuring and publishing Leslie and her fellow #HPMKT StyleSpotters, shown below. Thank you! 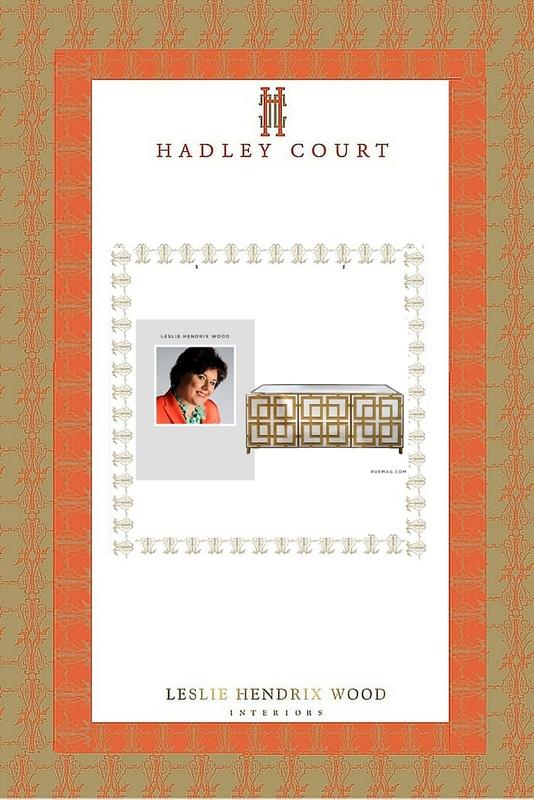 #TeamHadleyCourt looks forward to bringing you, our dear readers, the best from #HPMKT starting this Saturday, Oct. 17th! « Design Is In The Details: Introducing Thibaut Fine Furniture!